“Promoting Progress & Profit” is more than a catchy slogan to members of the Leesburg Area Chamber of Commerce; it’s a battle cry. The chamber of commerce has come a long way since debuting in 1924. The present board of directors is committed to serving as a voice for members, advocating their individual goals and helping each business enhance the community. The battle cry to “buy local” is trumpeted in numerous ways — through monthly business after hours, and Sunrise breakfasts, the annual installation and awards gala and other events. Goodwill among business is promoted through quarterly business events, the Business Wellness Challenge the annual chamber golf classic and other events. 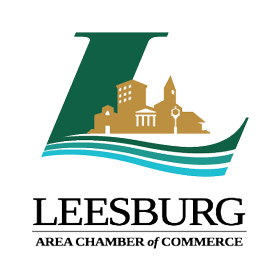 The Leesburg Area Chamber of Commerce serves as the voice for member businesses, representing, advocating and working to enhance the business environment. Through the chamber, the Leesburg business community can continue to develop strong relationships and feel empowered, knowing their voices count. A veteran of the War of 1812, Thomas Robertson was a Private in Captain Walter’s Company, South Carolina Militia, for which he received a Bounty Land Warrant. The original settler in what became Leesburg. Thomas Robertson, received a permit on July 27, 1843, to homestead 160 acres in the rich hammock land south of Lake Griffin (Now Bourlay Historic Nature Park). He remained there until 1854. Thomas Robertson and his son, John Marmaduke Robertson were Leesburg’s first two pioneers, when they were granted land in 1843, both remaining for eleven years. They left what became a major part of Leesburg in 1854. In the spring of 1845, two years after Robertson arrived, 18-year-old Melton and his younger brother Bunberry Haynes arrived from Whiteville, North Carolina, and staked a claim on land east of what’s now downtown Leesburg. But the Haynes brothers aren’t considered founding fathers either. Leesburg owes its name to Evander Lee, who arrived in December 1857, 14 years after Robertson. Lee came to Central Florida from Barbour County, Alabama, in search of a climate that promised relief for his rheumatism. He put down roots when he saw picturesque forests, lakes teeming with fish and abundant wildlife. Lee purchased Robertson’s homestead on the south shore of Lake Griffin for $3,300 and sent for his brothers, Josiah and Calvin, to help him build a community from the ground up. While wife Susannah and eight children settled in, Lee’s slaves got busy cutting down pine trees and building log houses to live in. After that, they began constructing Leesburg’s first frame house, complete with glass windows. The Lee family moved in during the spring of 1858. Calvin and Evander Lee built a general merchandise store on Main Street, which led to the naming of the fledgling community in 1866. Calvin was in New York City buying goods when the merchant asked where to ship the purchases. “Leesburg, Florida, by way of Silver Springs,” Lee replied. Josiah opened a gristmill and a cotton gin. The first school — a nondescript log cabin — opened in 1865. The year 1875 was momentous for Leesburg’s 150 residents: They voted for incorporation and elected J.G. Wallace as mayor.